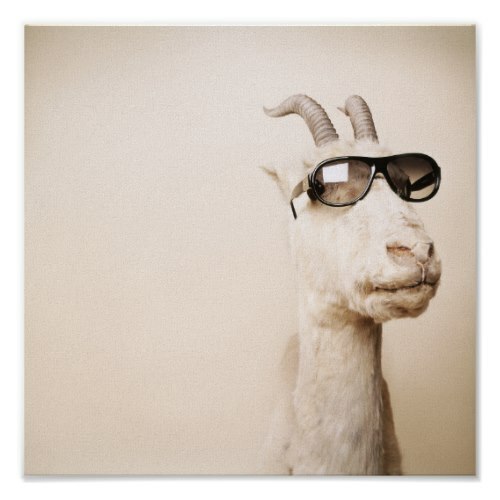 The goat, wearing shades, photographed by Jens Andersson. A striking photo, featured here on premium canvas - an instant-dry gloss canvas that produces prints which are fade-resistant for 75 years or more. You may add a custom frame to this canvas print.